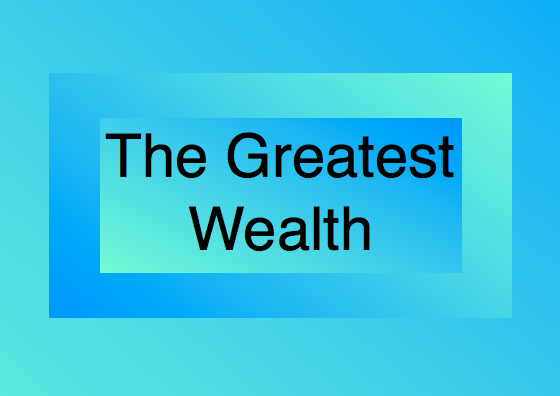 The greatest wealth is to cause wealth for the greatest number of people. I am part of that goal. I have read and studied some of Napoleon Hill’s amazing, moral and freeing works. He, truly, made more wealthy people than the individual industrial leaders of his time. And he, too, built quite a wealthy financial legacy. Our true wealth comes from within. When we read something or take a workshop which resonates deeply within us, we know we are connecting with a deep truth for ourselves. We, too, have great wealth, within, waiting for us to recognize and share it.